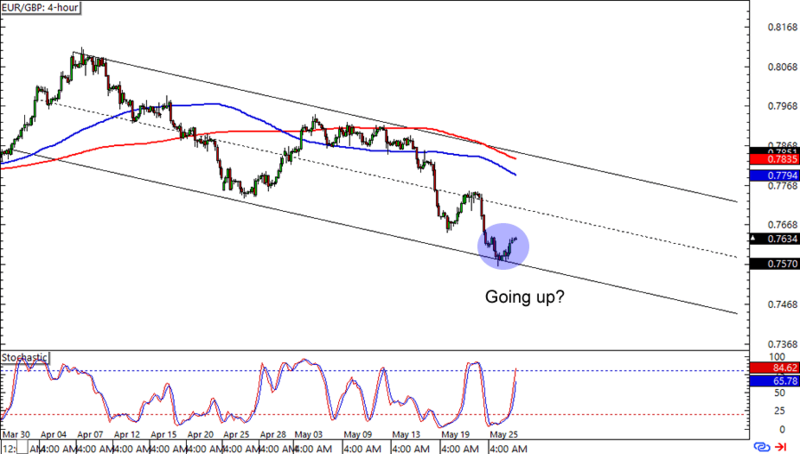 First up is an easy peasy trend play on AUD/USD. The pair is currently testing a falling channel resistance, which is right smack at the 200 and 100 SMAs on the 1-hour charts. Shorting at channel resistance levels can get you the best reward-to-risk ratios, so you might want to whip out your trading journals and start strategizing for this one. Take care to place your stops way above the resistance areas! 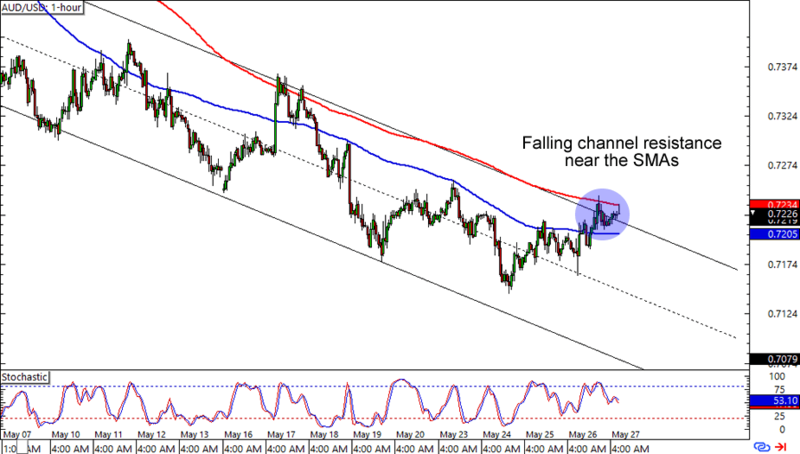 GBP/AUD is about to test the 100 SMA on the 1-hour time frame, which is just below a rising channel support on the chart. What’s more, stochastic is sporting an oversold signal. Think the pound is about to gain pips on the Aussie? 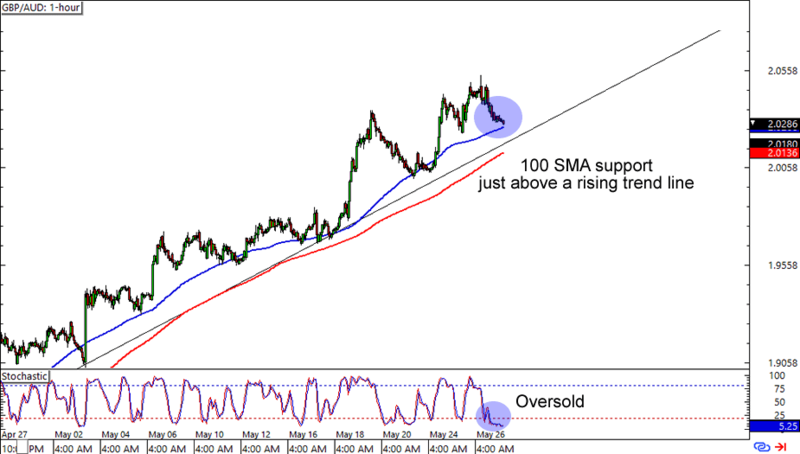 A long trade near the trend line could give you a decent trade if you believe that the pound is set to retest its previous highs against the Aussie. If you’re one of them pound bears though, then you could also wait for a break below the support levels before putting on a short trade. Here’s one for countertrend traders out there! EUR/GBP looks like it’s bouncing from the .7650 minor psychological handle, which lines up with a falling channel support on the 4-hour chart. Be careful in buying this one though, as countertrend trades can be trickier than the good ol’ trend trades. In fact, countertrend trading isn’t for everyone, so make sure you’ve planned ahead if you’re planning on taking this setup!